When Australian Julie Reagan discovers a book written about wild Malaysia in the 1970s, she decides to find out more about the author - her great aunt. Why did her grandmother refuse to speak about her sister who disappeared from the family, 60 years before? What caused such a severe rift? 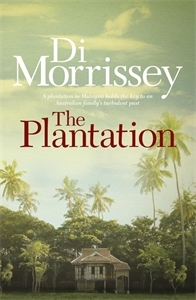 Julie is invited to stay with her cousins who run the plantation founded by her great grandfather in Malaya a hundred years ago, and she decides to visit in the hope of finding clues to this family mystery. What Julie finds sends her spiralling through generations of loves, deaths, tragedy and the challenges of the present until she discovers her grandmother's shocking secret.